. The lynx inhabiting Europe and Asia have recently all been reclassified as being subspecies of what is now called the Eurasian lynx. Males are 50-80 pounds and female are 40-50 pounds. Heights average around 24 inches at the shoulder. 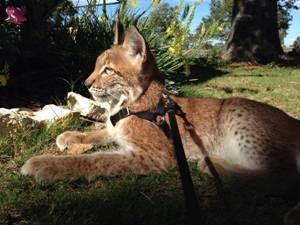 All Eurasian lynx are long legged with large feet. These attributes help them to travel in deep snow and remain effective predators in the wintertime. Their ears are tipped with long tassels of black hair. 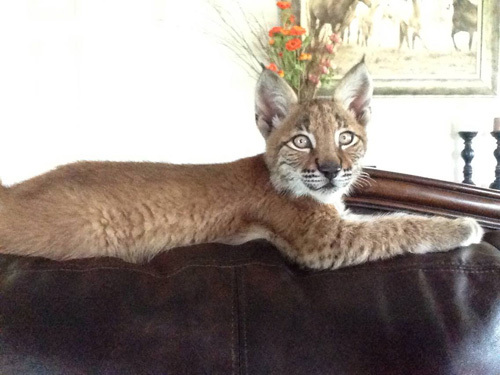 Lynx also have a short, about 8" tail which is always tipped with a black end. Eurasian lynx inhabit the forests and woodlands. In these forested regions, the lynx will hunt their favorite prey, the deer, usually preying on young animals. 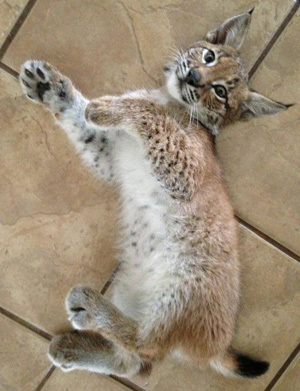 Lynx are capable of killing animals four times their own size. Rabbits and other large rodents also form a major part of their diet, but they are not so dependent upon them as the Canadian lynx. The Eurasian lynx usually stalk their prey and overtake them with a quick burst of speed, killing the prey with a swift bite to the neck. They are also good climbers and can use trees as platform for attacks from above. They are most active in the morning and evening hours, spending most of the daylight hours and night resting. Eurasian lynx breed in February and March, giving birth after a 68 day gestation period. Litter sizes are normally 2 or 3. Females become sexually mature at 2 years of age and can produce until they are around 14. Often times, a male will not mature until he is 3 years of age, but can produce until he is 16 or 17. 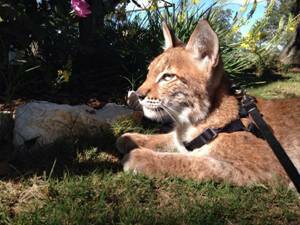 Their life span is usually drawing to an end at 17 years, though reports of lynx up to 24 years have been reported. 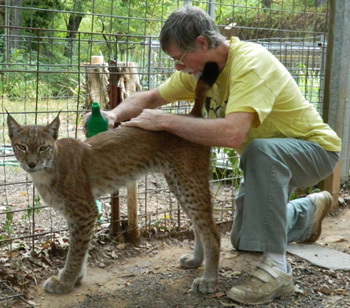 In captivity, Eurasian lynx are easily kept. 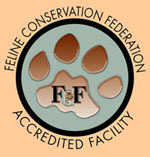 Though a large cat, they are able to be contained by fencing that is at least 14 gauge welded wire. The enjoy resting spots that are high off of the ground. Even though they are a species that occurs in the far north, Eurasian lynx do tolerate warm weather quite well, unlike the Canadian lynx. In more northern areas, they love the cold weather and particularly enjoy playing in snow. 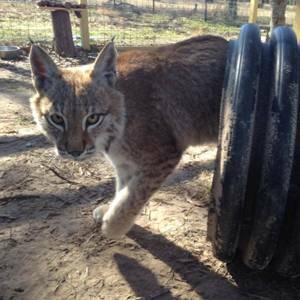 An adult lynx will eat about 2 to 3 pounds of meat per day. 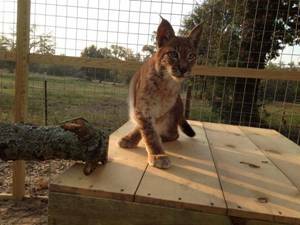 In temperament, the Eurasian lynx are very similar to that of a bobcat. 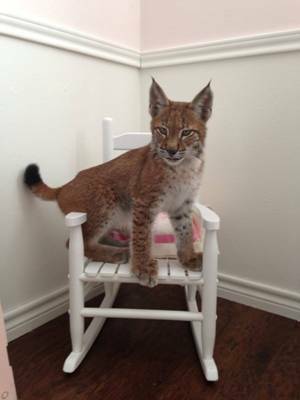 When hand reared, they remain quite tame throughout their life, but do tend to be quite a handful when kept inside a home because of their size and sometimes rambunctious play. Copyright© 2008 to 20014 N.O.A.H.